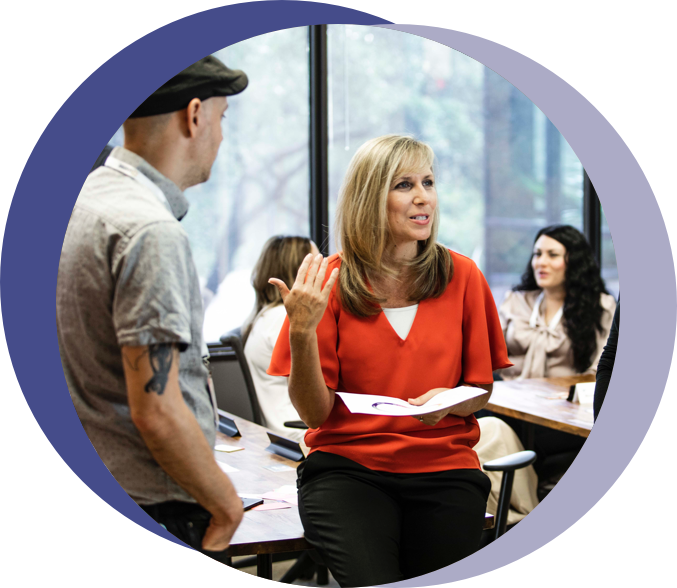 Whether you are an expert on DISC or interested in putting DISC to work in your organization, our Train-the-Trainer is designed for you! The interactive format lets participants learn a great deal from the trainer and from each other. 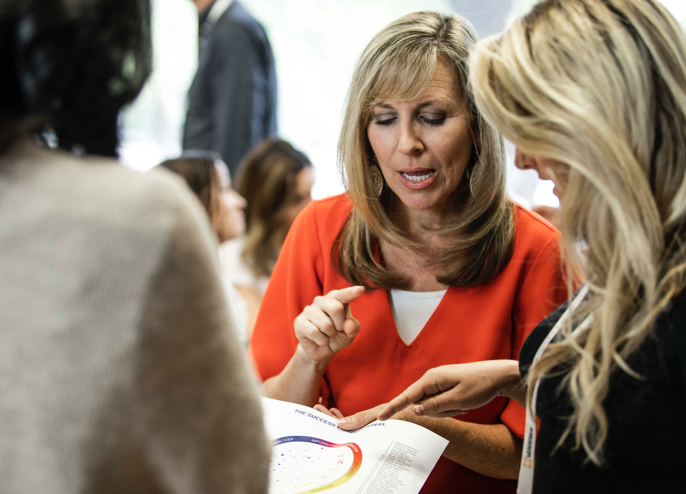 No matter which version of the DISC assessment you use, you will gain a deeper understanding of the DISC model as well as valuable information for using DISC within your organization. 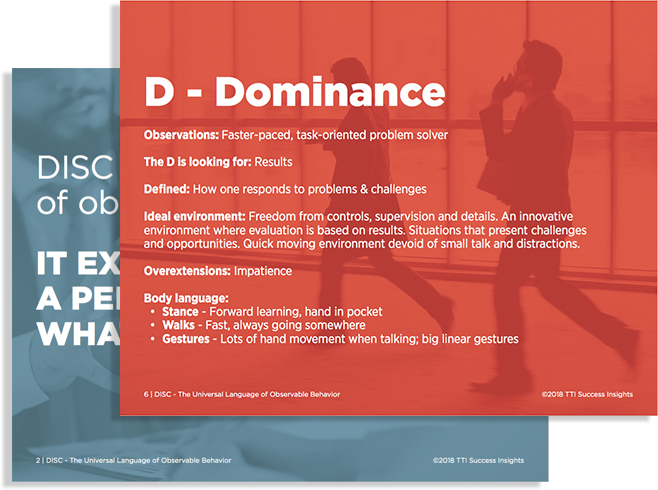 The program materials offer everything you need to impact your organization’s success by creating an environment where people are less defensive, more cooperative, and more open to change. "I attend training seminars on an average of one a month. This was the most helpful and the best presentation I have ever attended. Our intent is to not just teach you about DISC, but to focus on what DISC can do for you and your organization. As the course progresses, your questions and needs will be addressed. You will leave with application information on a multitude of topics as well as an outline for how you want to offer your course. Managers/supervisors who want to enhance their interactive style. Human Resource directors, personnel directors, trainers and facilitators. To obtain a deeper understanding of how DISC is used and can be used in the day to day operations of business. This option allows you to complete DISC Certification from your own office in the time frame that is good for you. No need to travel! This session typically consists of three, 2-hour conference calls scheduled at your convenience. If you can't come to Austin, we can come to you. This may be beneficial to your organization if you have many people you want to certify at once. and each participant must purchase a Facilitator Kit at $500 each. How far in advance must I pre-register? We start registration for our in-person certifications 2-3 months in advance and we have a special hotel room rate for our workshop attendees. While you can book closer to the event, hotel room discount is only guaranteed 30 days or more before the event. Where should I stay in Austin? The workshop takes place at a hotel, where you will be able to stay at a discounted rate.